Maintaining an upward growth trajectory will become increasingly hard in the present challenging environment, especially if businesses refuse to modernise their processes. 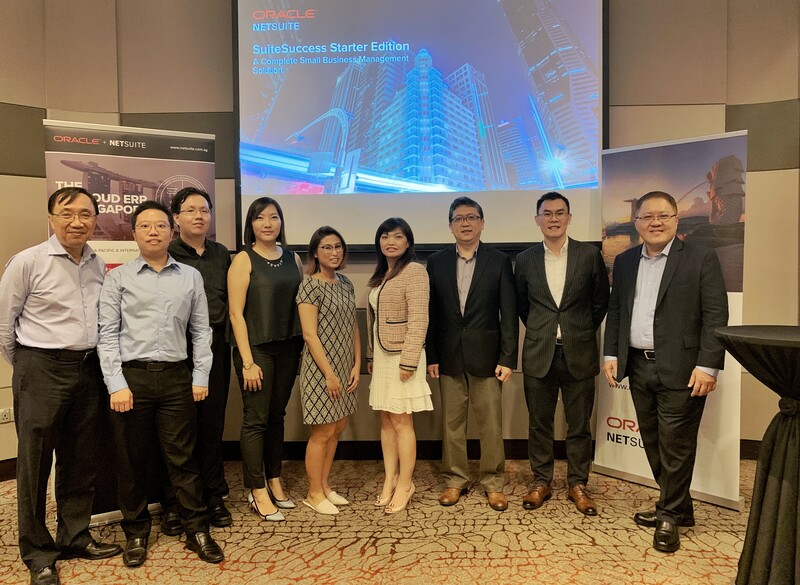 These challenges and other issues were covered last Thursday, in the first joint workshop between AFON and Oracle for Singapore small and mid-sized enterprises (SMEs). 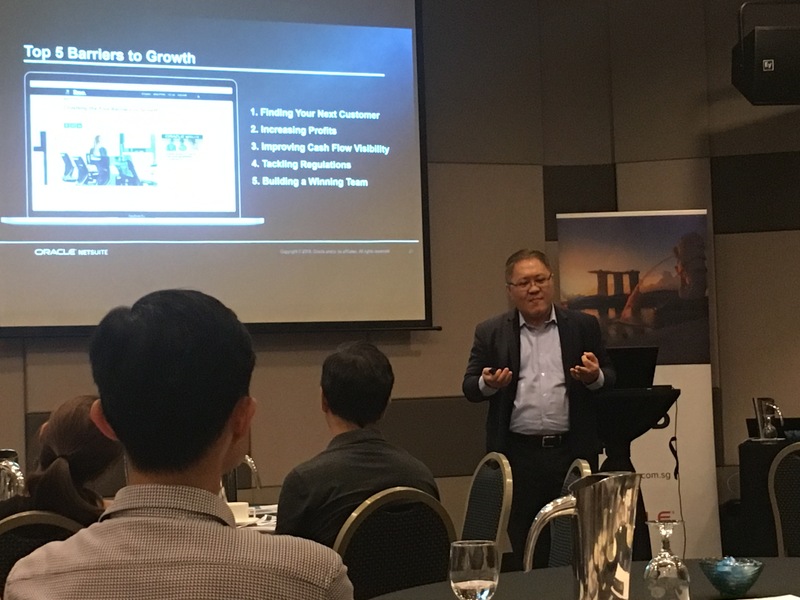 The 2-hour workshop showcased SuiteSuccess Starter Edition and how SMEs in Singapore could benefit from a modern true Cloud ERP system suite like NetSuite. DECIDING BETWEEN A CLOUD OR ON-PREMISE ERP INVESTMENT? READ OUR BLOGPOST. The event also marked the end of our year-long event series on ERP and digital transformation, designed to help businesses understand how they can leverage on the latest trends in technology. As with previous AFON events, our guests found the workshop beneficial, with 9 in 10 indicating they were satisfied with the programme. The teams from Oracle-NetSuite and AFON. 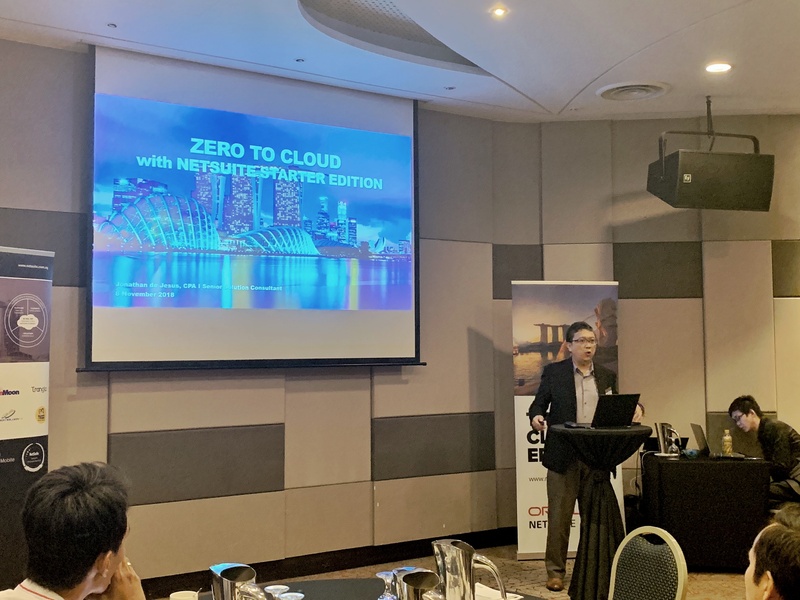 Peter Quek, Oracle-NetSuite regional sales director, outlined how NetSuite can help businesses scale upwards. Disconnected finance and accounting systems. Lack of cash flow visibility. Peter elaborates on five common obstacles to growth. Scaling upwards is proving difficult even for large enterprises. This year, the S&P 500 index only saw an average revenue growth rate of 6%. However, Peter revealed that the same figures are more positive for NetSuite users. More specifically, NetSuite offers greater visibility and system integration, so users can make more accurate and more informed decisions. For example, key staff can get access to real-time financial performance. 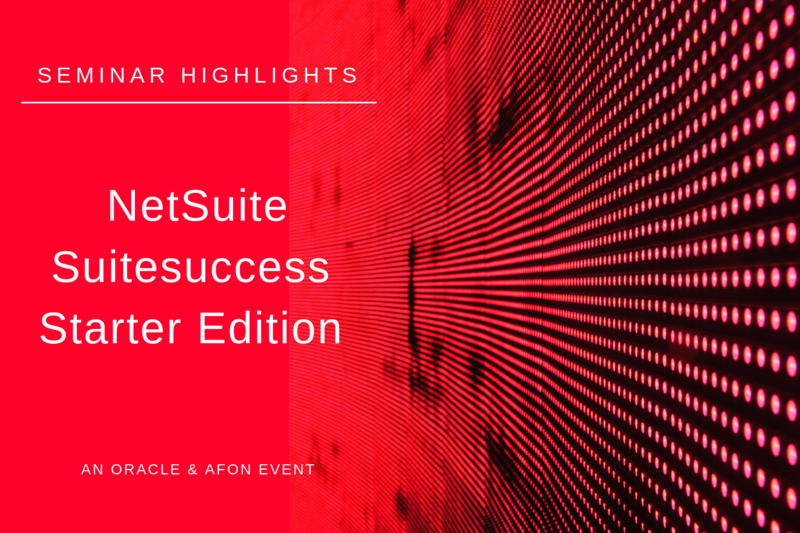 NetSuite Senior Sales Consultant Jonathan de Jesus gave our attendees a close-up look at SuiteSuccess Starter Edition, and how it can rapidly bring businesses into the Cloud. Traditional ERP solutions can take a while to work their magic after being implemented. But for businesses who need fast time-to-value, a Cloud ERP system like SuiteSuccess Starter Edition might be a better idea. Jonathan demonstrates how NetSuite can help businesses stay ahead in the age of Cloud computing. NetSuite now promises that SuiteSuccess Starter Edition can make a business Cloud-ready in as little as 100 days. More than a bold claim, Jonathan noted that 3,000 industry best practices were built into SuiteSuccess. It also includes pre-defined user roles and pre-built reports derived from these best practices. Jonathan summed this up in the epithet ‘ERP out of the box’. Some of our guests particularly appreciated the live demonstration. ‘I now understand how NetSuite can be relevant for my business, especially in the areas of account consolidation, project management, and tax compliance,’ said Mohanish Chitnis, finance manager at Holmusk. In summary, the workshop covered ways to overcome obstacles to growth, by implementing a Cloud-based ERP system that can get up and running in 100 days or less. Want to put your business on an upward growth trajectory? Drop a note here and our consultants will be in touch.